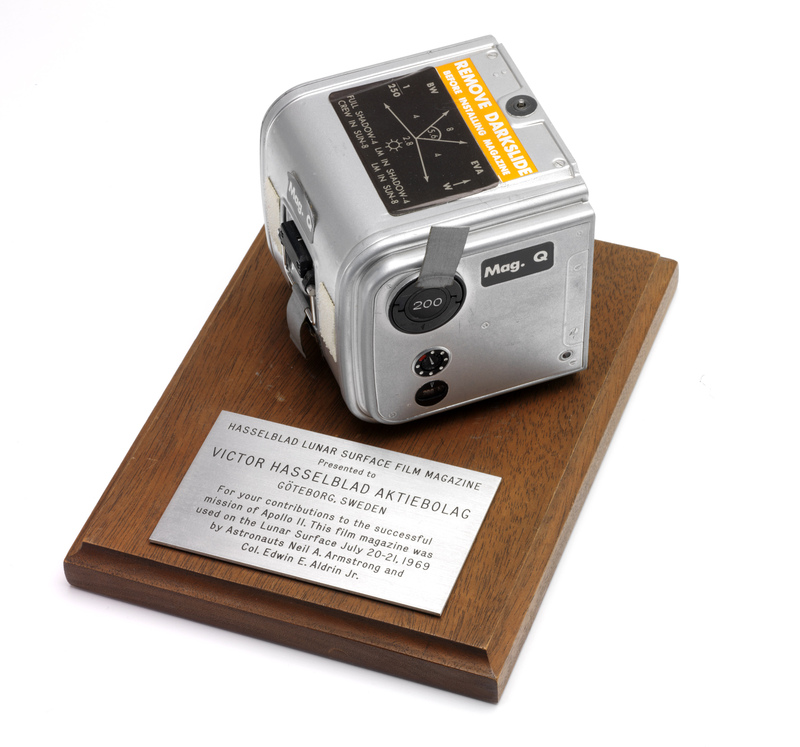 The historical archive consists of unique items including moon cameras, the very first Hasselblad camera, Erna Hasselblad’s iconic Apollo bracelet, photographs, letters and other documents. The archive also contains items from the camera factory Victor Hasselblad AB. The collection has constantly been evolving and expanding since 2005. The historical collection of photographs comes partly from Erna and Victor Hasselblad’s private collection, partly from Victor Hasselblad AB, as well as photographs from private individuals who once knew the Hasselblads. The photographs are accessible through an internal image database. Those interested can come and search the database at the Hasselblad Foundation library. The archive contains some 50 cameras, above all Hasselblad cameras from various periods, e.g. the first prototypes from the early 1940s, the very first civilian camera, the moon camera from the late 1960s, as well as some of the more recent models. This magazine has been on the moon with the first manned landing July 22-21 1969. It is a modified 70 mm magazine, a double perforated film magazine. The magazine has open spools to hold more film. The magazine has a counter for 200 exposures, and must be loaded in dark room because it is provided with open spools. The folding loop on back of the magazine is to hoist up the magazine to the lunar module from the moon. The camera and the lenses were left on the moon. Only the film magazines were brought back. The silver colour is to make the temperature not to get to high.